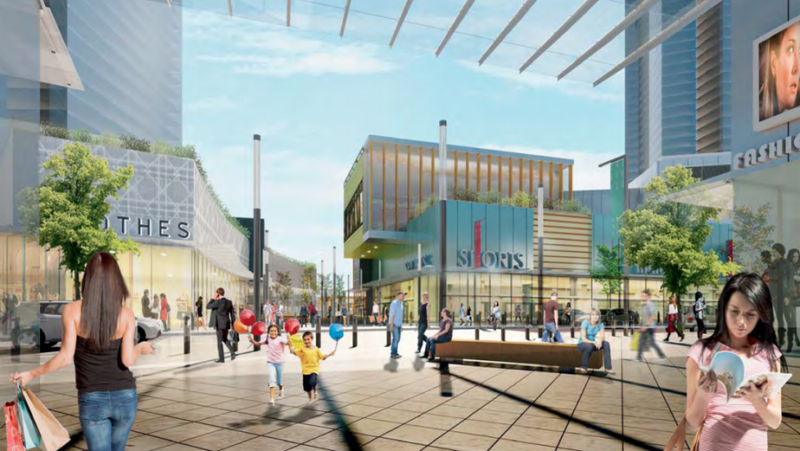 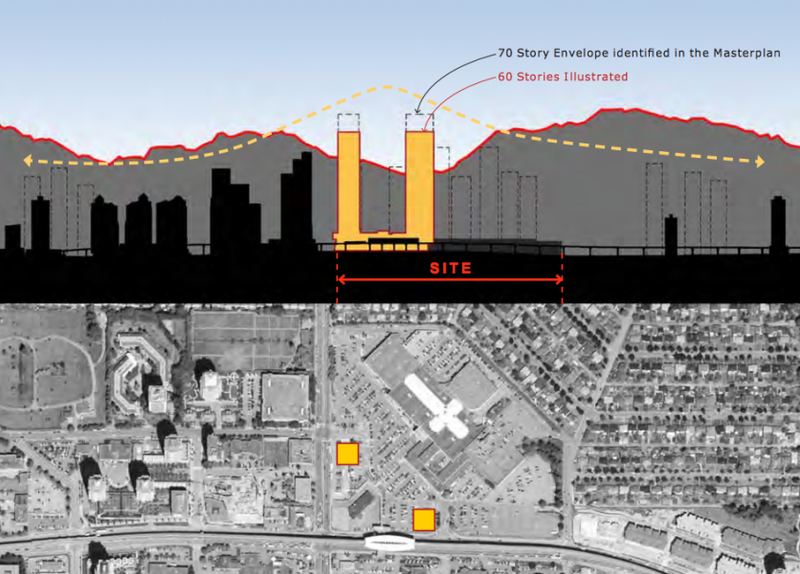 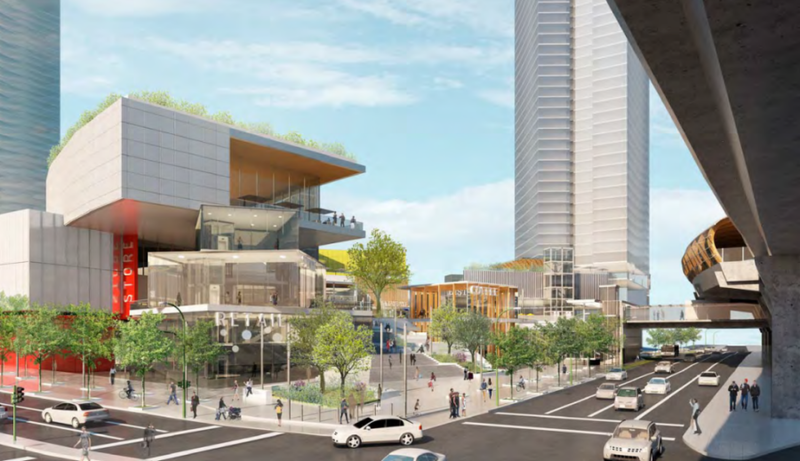 Burnaby’s Brentwood Mall is set for a major redevelopment that will add ten towers up to 70 storeys tall to the 28-acre site. 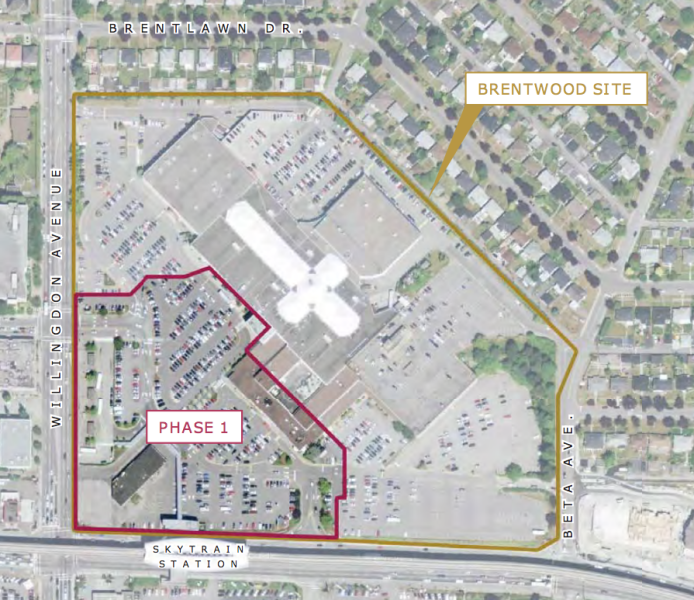 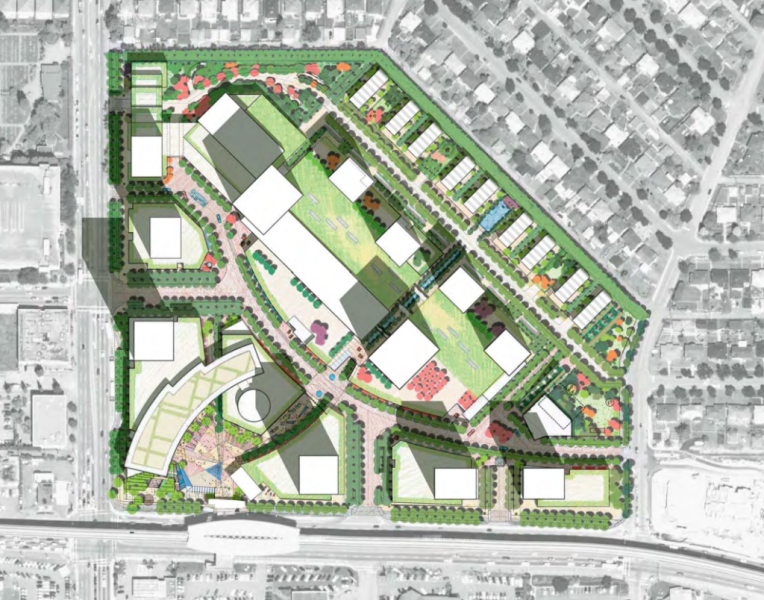 The Amazing Brentwood, the first phase of the project, is 8-acres in size on a parking lot located next to the SkyTrain station on the corner of Willingdon Avenue and Lougheed Highway. 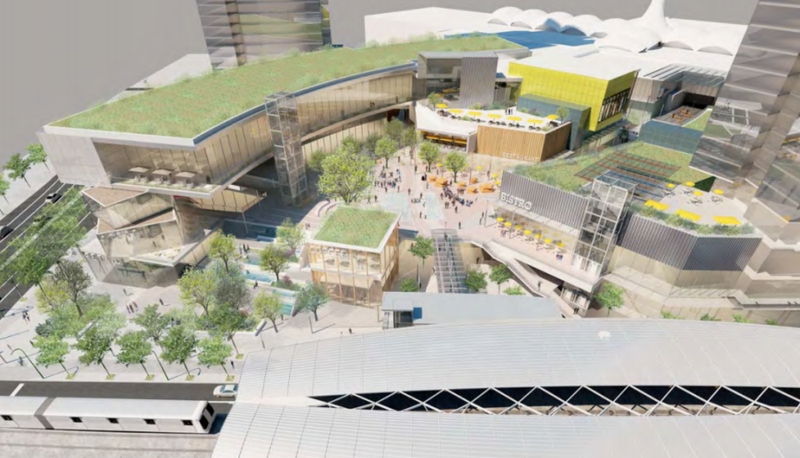 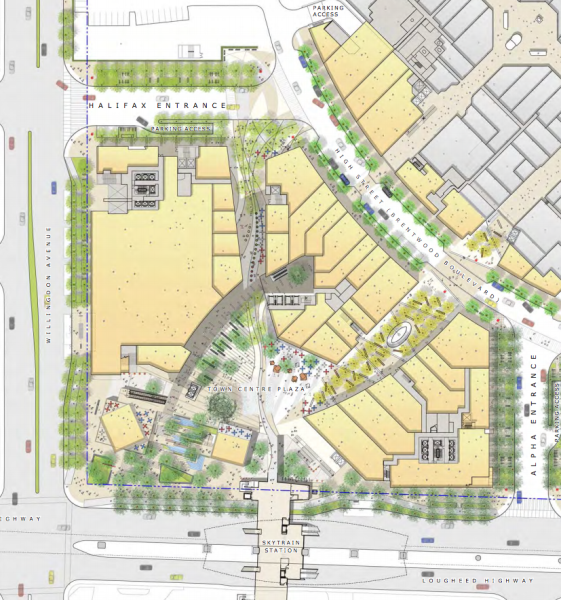 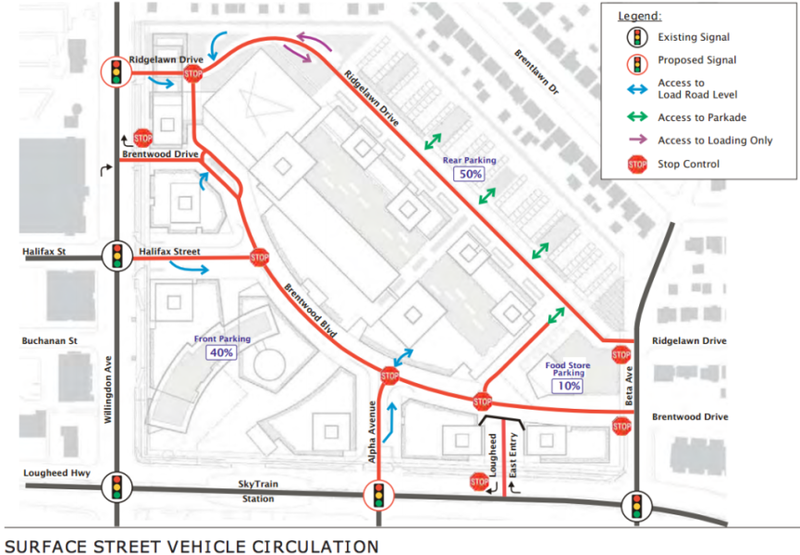 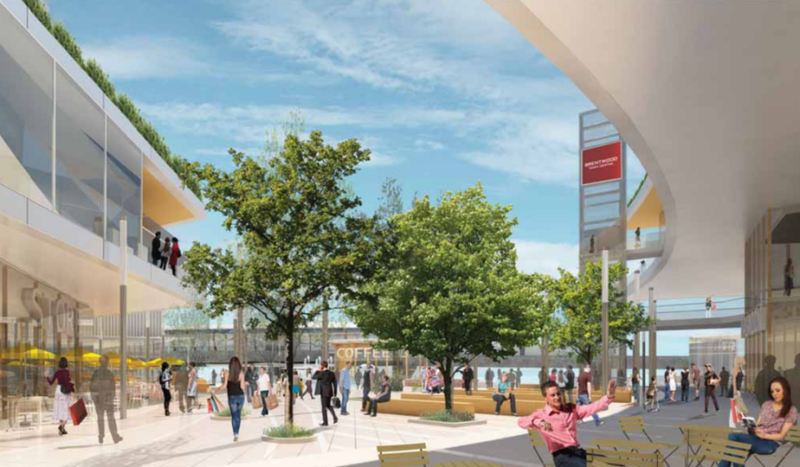 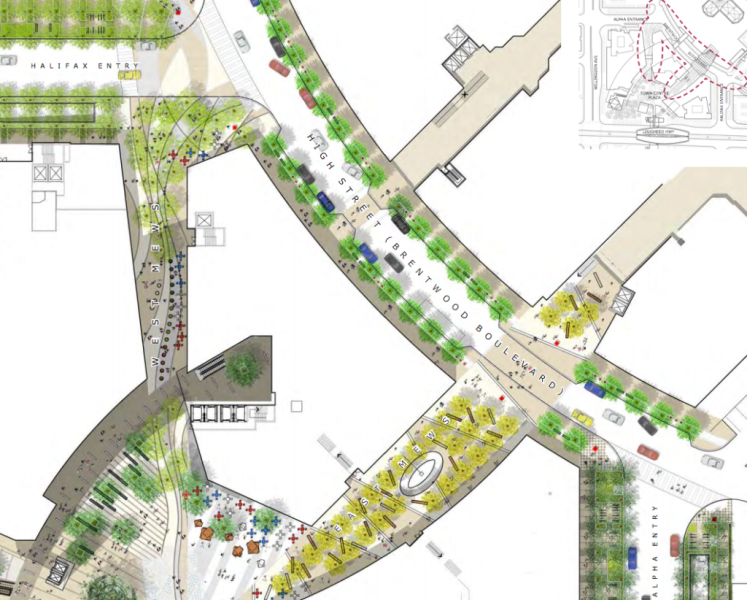 It will establish a new 1 acre public plaza facing the SkyTrain station entrance on the corner of the intersection that could hold programmable activity and large-scale events.